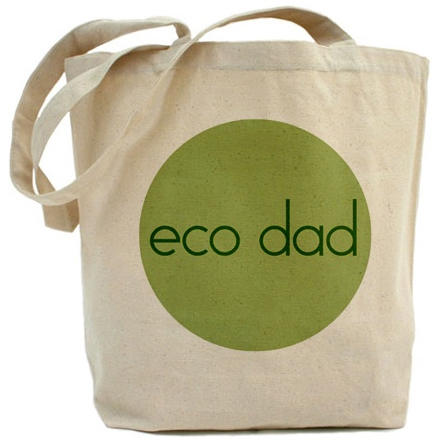 Custom screen printed tote bags are a great way to get your logo or message out in the world. They are like small billboards of your message being carried through busy metropolitan areas! Choose the perfect colour and style, and we’ll add your design right here in Toronto! Our screen printing team has printed thousands of tote bags and we offer a100% Guarantee! Contact our staff to place an order! Custom tote bags are a great way to spread your message around Toronto. At Artik we'll screen print your design on eco-friendly tote bags and we'll make it simple. At Artik Toronto we have 30 years of printing experience (and we offer a 100% Guarantee!). In the past few years we have been going through an environmental revolution. As we focus more on protecting our planet, the custom tote bag has become a popular marketing tool for environmentally aware grocers and companies. Just as custom printed t-shirts and buttons have worked to advertise a product or business, tote bags can now be seen everywhere. They are like small billboards of your message being carried through busy metropolitan areas! Creating a number of custom tote bags that you can sell or give out to promote your product or business is also cheaper than you may think. A number of online retailers are now printing and manufacturing custom tote bags. This is great news as these bags are an environmentally sustainable way to carry groceries or transport goods when people are out shopping. Plastic and paper bags are less eco friendly as these materials are usually used only once. Many grocers and retail chains are now actually charging for their bags not only because the price of plastic and paper is on the rise, but to discourage shoppers from using non reusable materials for bags. 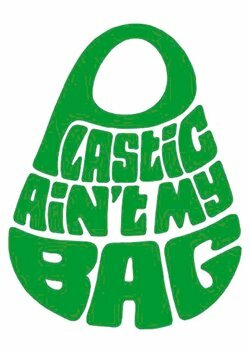 With more and more retailers charging a fee for bags or not offering plastic or paper bags at all, the popularity of tote bags will only continue to rise. Tote bags come in a variety of different styles and also offer strength and comfort advantages over the traditional plastic or paper bags. A tote bag with a cloth handle distributes weight much better than a plastic bag and is far more durable meaning that you will no longer face the problem of a ripped or fraying plastic bag risking the safety of your groceries or important cargo. Printing a custom logo on a tote bag is a unique advertising opportunity. We are getting to a point where people want and need tote bags to carry their groceries, documents and cargo. With such a large need, it is possible to print your company logo or an advertisement on these bags, through silk screening and have your logo displayed whenever someone is seen carrying your bag. Something as simple as printing a small amount and giving them away at a trade show or store opening can have your logo or advertisement being viewed by hundreds of people a day if it is shown in a busy city. A tote bag could have the same impact as a bus advertisement or t-shirt campaign as people will only continue to use this great product, allowing you an ongoing advertisement which can be viewed over and over again. Artik is able to produce a number of different tote designs to match whatever vision you may have in mind for your tote bag. We can provide you with many colours, materials and styles for your tote bag campaign. Orders are kept affordable with bulk orders receiving a discount. Getting a custom tote bag can be as simple as getting a quote and purchasing them online, soon enough your custom tote bags can be delivered to your doorstep and ready to give you a great reusable and eco friendly form of advertising! At the end of the day, your tote bags will be attractive, durable and ready to be used by customers or shared as promotional gifts. Contact us at Artik Toronto to get your tote bags customized! If you're looking to get customized tote bags screen printed in Toronto, look no further! At Artik, we've been screenprinting your designs, messages and logos onto custom totes and shopping bags for over 30 years! Put your awesome design on custom cotton tote bags with a ton of colours, or keep it simple with an afforable one colour print. Our experienced staff are happy to give you advice with your tote bag design, just contact us! Reusable Shopping Bags are a great eco-friendly alternative to flimsy single-use plastic bags, and we print on desirable natural fibers like cotton and jute. Artik also customizes travel bags, backpacks, drawstring bags, cooler bags, lunch bags, paper bags, sport bags, duffels and more. Read about our selection of custom bags below! Custom Non-Woven Tote Bags: If you're looking for colourful totebags at a lower price, try our non-woven category. Non-woven bags are cheaper but still durable and the price can't be beat. At Artik, we'll screenprint your design on non-woven tote bags in downtown Toronto. Browse non-woven totebags here. Drawstring Tote Bag Backpacks: Drawstring totebags are a great giveaway or sellable item, perfect for beach trips or as a day bag while travelling. We'll screen print your logo and message onto custom drawstring backpacks at a low price. Choose between various drawstring backpack styles. Custom Logoed Backpacks: Your brand will go here, there, and everywhere with Promotional Backpacks! Great for carrying books between classes, laptops to meetings or items across tradeshows. Order custom backpacks with your logo on them as a premium giveaway or merchandise item. We screenprint your design onto a variety of custom backpacks in downtown Toronto! Custom Duffel Bags and Sports Bags: Great for carrying luggage, lunch, school supplies, or sports equipment. Just contact us to add your logo to high quality duffel bags, travel luggage, hockey bags and sports bags of all sizes! Custom Printed Cooler Bags: Custom Reusable cooler bags will keep your drinks cold or your food hot! Reach out to our team to add your design to custom cooler bags for camping trips, lunch boxes and road trips. We've selected the best cooler bags for durability, temperature control and price. Custom Paper Bags: Custom paper bags give your business a professional, artisanal feel. Custom printed paper bags are perfect for branded gift bags or customized shopping bags for your shop! Check out our custom paper bag sizes and styles. More Custom Totebag Styles: From jute bags, to extra large recycled material totebags, to special beach bags, this category has a variety of unique tote bag styles ready for custom printing. Check out our wine bottle carrier bag or our Foldable tote bags or even our zippered tote bag. Just click here to browse the More Custom Totebag category! Custom totebags can come in countless styles (see above!) and many shapes, sizes and colours. Once you've chosen the perfect custom printed tote bag for your project, contact Artik staff. We're fast, friendly and happy to help you create incredible totebags that will stand out from the crowd. Totebags for Fundraisers: Raise money by selling custom printed totebags with your cause, charity or group slogan on them. Don't just ask for donations, give something of unique value to your donors. With custom printed totebags, you'll see more donations and more awareness for your cause. Custom Totebags for Tradeshows: When people are walking the crowds of a convention center, how will you stick out? Make your booth extra special with well designed totebags flaunting your logo or message. Include printed information and more promotional products in your totebag and people will be happy to take them. Help potential customers, audience members or students remember your brand with custom printed totebags for tradeshows. Printed Totebags for Bands: Raise money at your next concert with screenprinted totebags! Add your band logo or your latest album art and you'll raise a lot more money at the merch table. Custom screenprinted totebags stand out, and they help people carry your vinyl records home after your show. Come to Artik to check out our sample screenprinted totebags. Totebags for Events: Give something special to the attendees of your event in custom printed totebags. Whether you're running a charity gala, an outdoor food festival or a marathon run, custom printed totebags can be stuffed with important information, gifts, prizes and more! Let your attendees hold onto the memory of your event with custom printed event totebags. Custom Totebags for Businesses: Giving totebags out with your customer's orders is an awesome idea - not only will your customers have a handy way to bring their purchase home, but they'll hold onto your totebag and promote your company on the street and around the city. We've seen many large retail, clothing and grocery chains order custom printed totebags with their designs and messages on them. No matter who you are, try creating a beautiful and memorable design for totebags that people will happily hold on to and carry around with them. Bright colours and large logos may stand out, but an elegant design will be held onto and cherished for years.